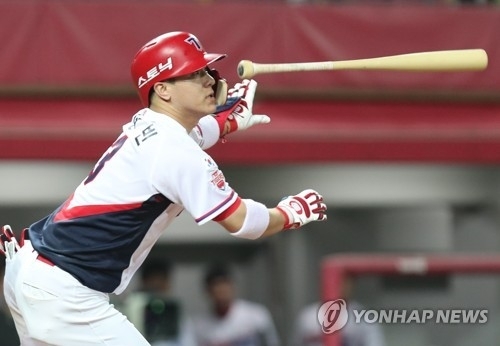 SEOUL, Aug. 18 (Yonhap) -- One of South Korean baseball's smallest players is in hot pursuit of one of the most hallowed and elusive marks in the game: a .400 batting average. Kim Sun-bin of the Kia Tigers, all of 165 centimeters, is leading the Korea Baseball Organization (KBO) with a .392 mark through Thursday's games. After closing out the first half batting .380, Kim, the league's second shortest player, hasn't cooled off in the dog days of summer. He is batting at a .450 clip since the All-Star break. For the month of August, Kim is batting an incredible .583 (14-for-24) in seven games. The next in the race for the batting title is Kim's teammate, Choi Hyoung-woo, who's batting .369. 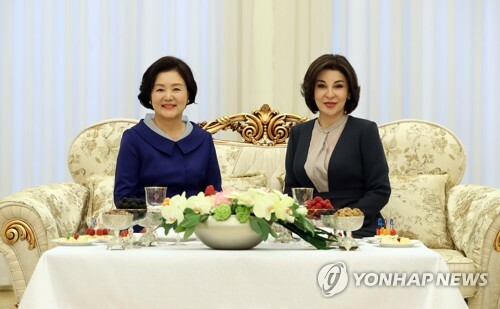 Kim is essentially battling history at this point. Only one batter has eclipsed the .400 mark in the KBO's 35-year history. Baek In-chun, the player-manager for the MBC Blue Dragons (currently the LG Twins) in the inaugural KBO season in 1982, batted .412. Teams only played 80 games at the time, and Baek appeared in 72 of them. The Tigers have 36 games remaining. If Kim gets about three at-bats per game the rest of the way, he'd have to bat .426 in those games to reach .400. Even if Kim doesn't end up hitting .400 or better, he could still stake claim to another record. He has been the Tigers' primary No. 9 hitter, and he could become the first No. 9 hitter to win a KBO batting title. In Thursday's game, Kim made his first appearance of the season as the leadoff man and didn't look out of place as he went 3-for-4. And when it comes to attacking opponents, Kim hasn't been too picky. He has a batting average of at least .350 against eight of the nine opponents. The LG Twins have held him in check -- relatively speaking -- to a .298 average. The right-handed batter is batting .423 off left-handers, .368 against right-handers and .465 against submarine pitchers. The 27-year-old is one shy of a career high in RBIs with 54, thanks largely to a KBO-best .440 batting average with runners in scoring position. A few hitters have fallen short of the .400 mark of late. In 2014, SK Wyverns' Lee Jae-won batted .429 through the team's 51 games, becoming the seventh player to maintain a batting average of above .400 past the 50-game mark for his club. But he ended up hitting .337 in 120 games that year. In 2012, Kim Tae-kyun of the Hanwha Eagles stayed above .400 through 89 games, before finishing with a .363 mark in 126 games. The second-highest single season batting average may be in sight for Kim Sun-bin. Former Tigers great Lee Jong-beom holds that mark with a .393 average in 1994. He was over .400 through 104 games, but a stomach flu in the summer cost him a shot at the elusive figure.